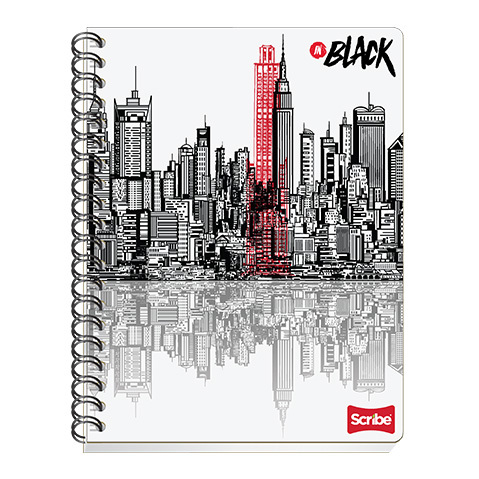 CUADERNO PROFESIONAL SCRIBE BLACK 2272 100 HOJAS CUADRO 5 MM. CUADERNO PROFESIONAL SCRIBE BLACK 2273 100 HOJAS CUADRO 7 MM. CUADERNO CON ESPIRAL FORMA ITALIANATAL MONKY 009 100 HOJAS CUADRO 7 MM. CUADERNO ENGRAP FORMA ITALIANATAL ESTRELLA 263 100 HOJAS D.R. CUADERNO ENGRAP FORMA ITALIANATAL SCRIBE CLASICO 6143 50 HOJAS CUADRO 7 MM. CUADERNO COSIDO FORMA ITALIANATAL SCRIBE CLASICO 4523 100 HOJAS CUADRO 7 MM. CUADERNO CON ESPIRAL FORMA ITALIANATAL ESTRELLA 168 100 HOJAS CUADRO 7 MM. CUADERNO COSIDO FORMA FRANCESA NORMA 360°COLOR 581293 100 HOJAS CUADRO 5 MM.